August 9th 2013, we celebrated 48th years of nation building in Singapore. 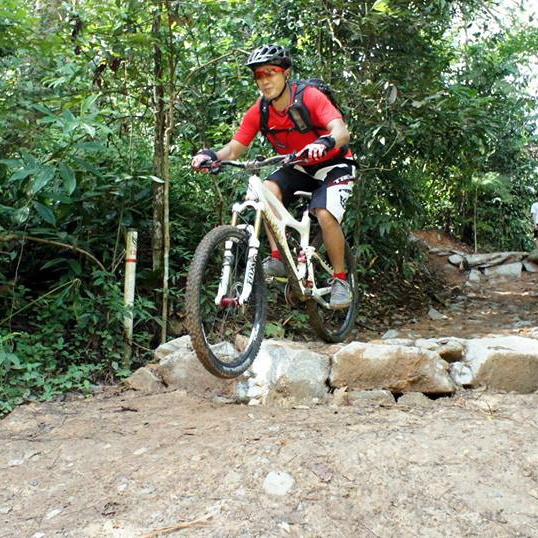 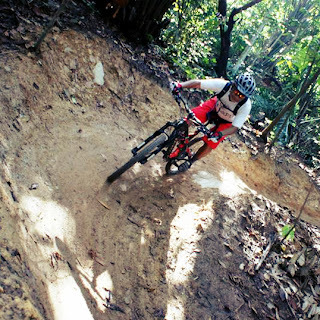 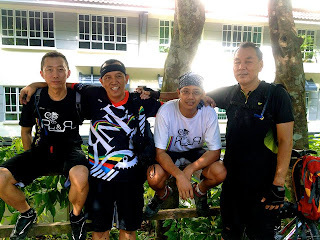 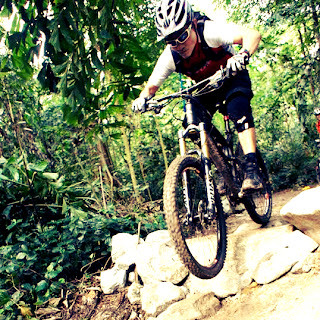 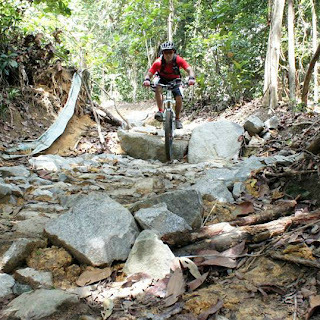 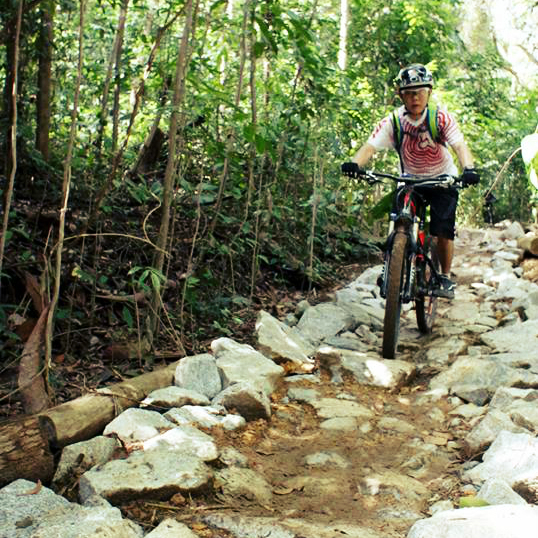 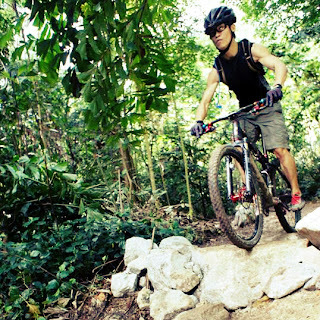 Rock & Rolla, one of MTB riding groups in Singapore organized their annual ritual ride at the newly upgraded Mountain Bike Trails in Bukit Timah. A total of 17 riders turned up for the ride, including Saturday and Sunday groups. 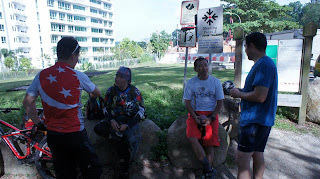 This year, we missed the Wednesday night riding group and Jurong Chapter as most of them went for overseas holiday trip due to super long weekend. As usual, we gathered 0900H at ZHP, wearing red and white theme to mark the National Day event. Photo-shoot was one of the highlights. Thanks to our chief Calvin Chin, he volunteered to be the photographer. 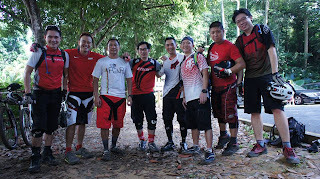 These are the riders who wore red and white theme. 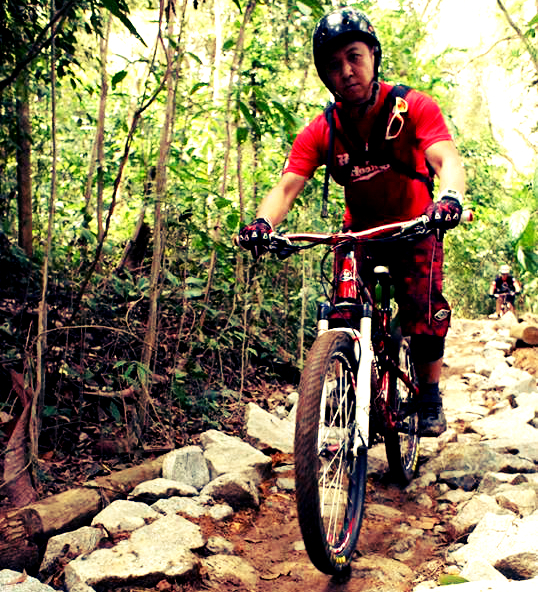 For those who did not wear red and white color code, RnR jersey will do. One of our top XC riders Ang EH (left), and our perpetually jovious William Chur (right). 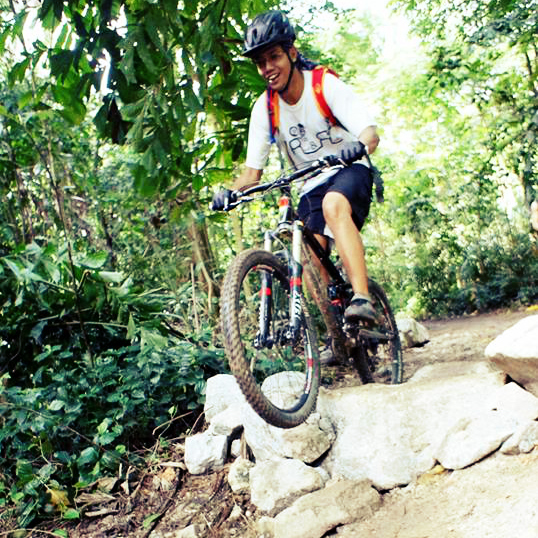 They were fully charged for the ride. 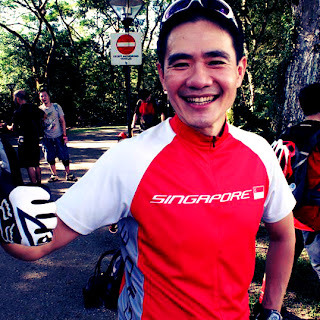 I only wear this Singapore jersey once a year during National Day! 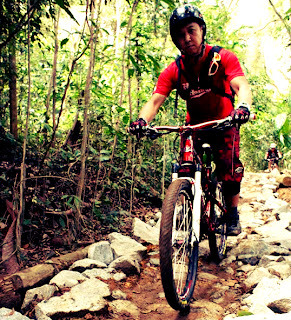 Hope to wear it every ride but my skill and stamina were not good enough. 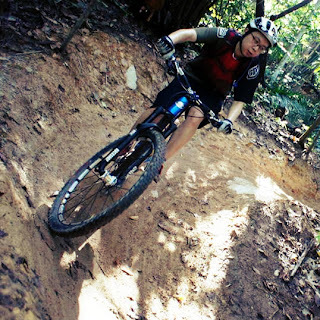 Our steady and charming chief Calvin showed us the right way to do this drop. Well, this was my first action shot after recovered from serious ankle injury 3 months ago. 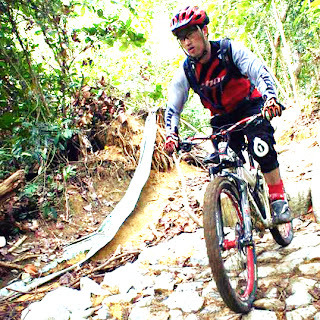 Calvin tackled black diamond rock section with his modified mojo 27.5 carbon rims. 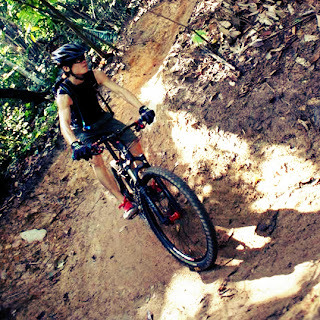 Refer to last section of this post for video clip. 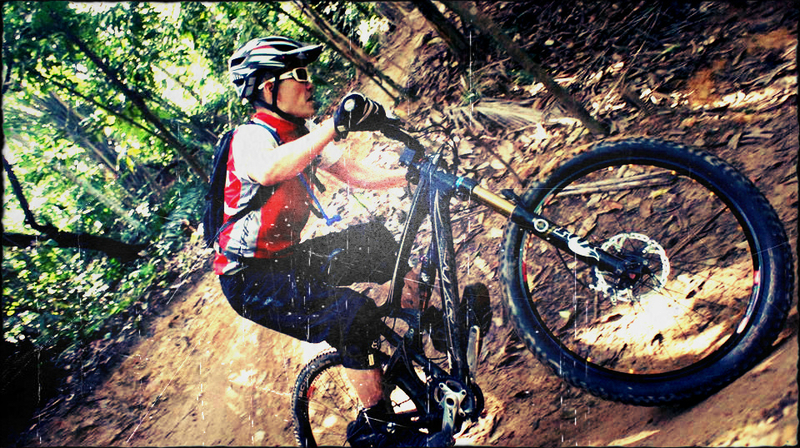 Niner 29er, he can climb as steep and fast as anyone. 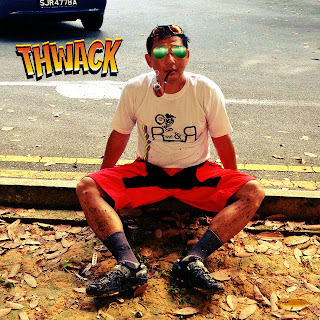 Respect!!! Our lightweight XC top rider, Ang EH. 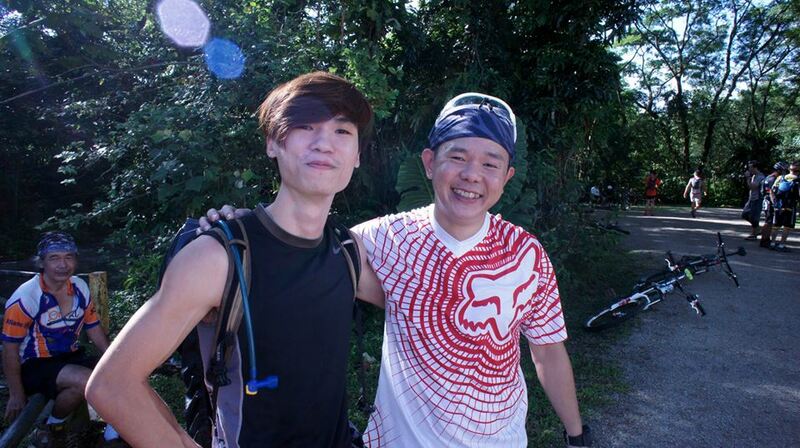 He only wears sneakers, even during race. 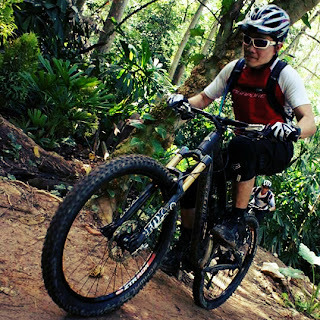 Halil, the full carbon man doing downhill switchback on his full carbon 29er XC bike. 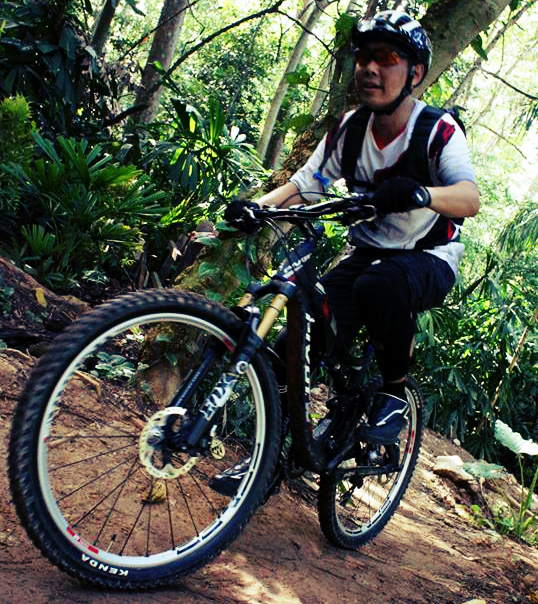 Damon gliding down rocky section like PCN. Awesome rider! 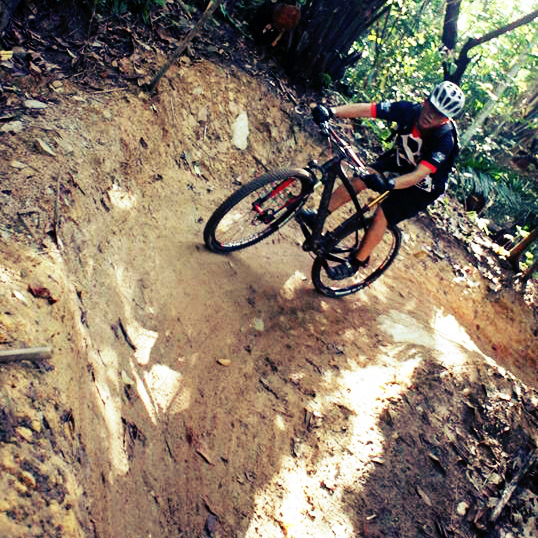 Herman showed us how to jump the drop! Our hero Hakim rode Butterfly to/fro before joining us for BT ride. 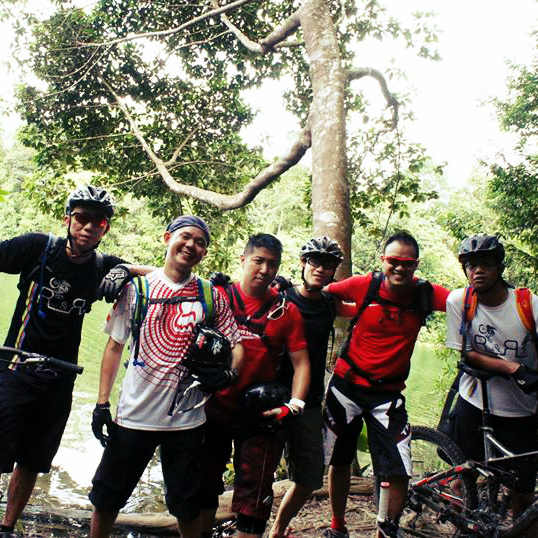 Respect!!! 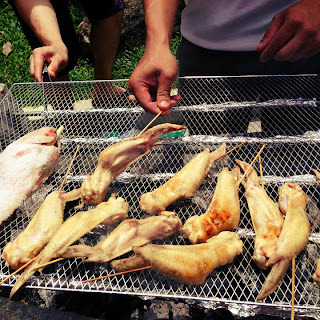 After the rides, those who stay proceed to BBQ party hosted by our President Keet! 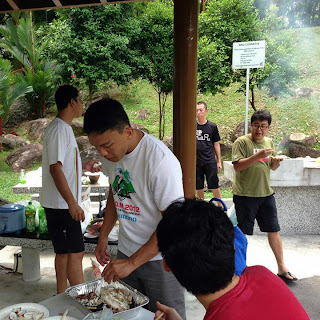 Our Jurong Chapter did not join us for NDP ride, but they were quick to join the makan party! Haha! Singapore has done well, so does everyone of us. 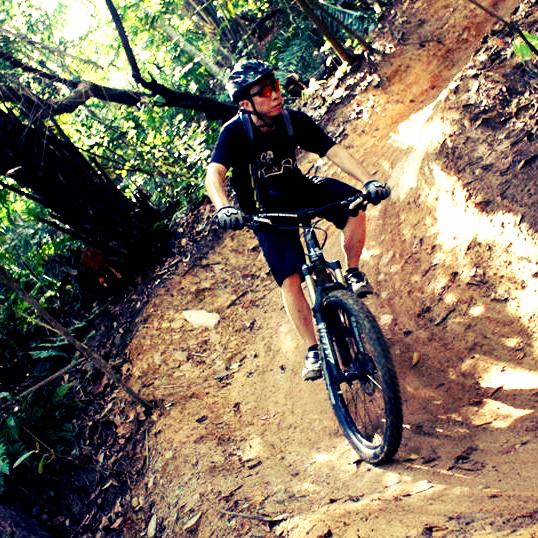 While building our nation, hope we could still keep Singapore as green as it use to be. 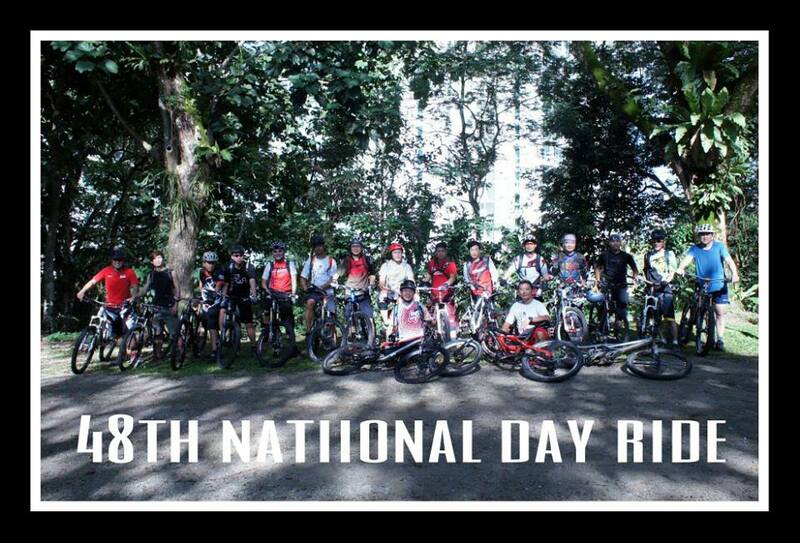 We wish more legal mountain bike trails would be built so that our annual ritual ride during National Day would continue as long as Singapore exist.